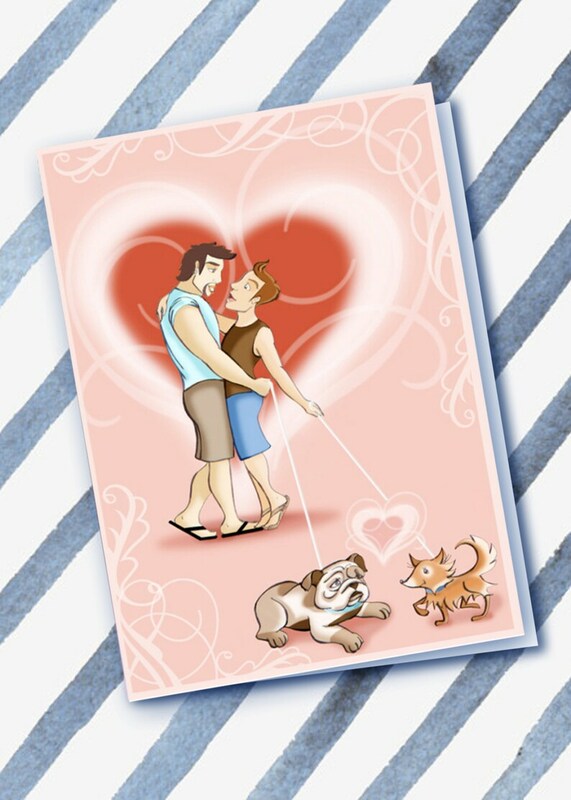 This adorable handmade card shows two guys being brought together by their puppies. Greta product. Simply beautiful. Will definitely order from this store again.